Since the early 20th Century “gifted” is the word that has been used to define children with a number of qualities that are above average. It refers to intellectually advanced children with a high IQ and a great sensitivity to the world. There are a number of ways to help pinpoint if your child is gifted and ensure they get the assistance they need to excel and develop their gifts into talents. How Does Your Child Compare to Other Children? One of the simplest ways to determine if your child might be gifted is to compare them with other children their age. If they are already in school, this is easily done with the help of a teacher, but family members and friends can help too. Children of a certain age can generally do basic tasks like talking, reading, writing, tying their shoe, etc. However, gifted children may be able to do these things well before their peers and often without the help of an adult. 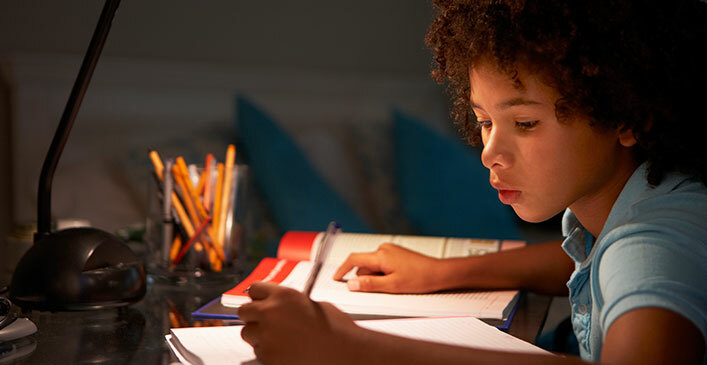 Gifted children are often fast learners and excel at new tasks that are presented to them. They are better problem solvers than their peers and may finish their work early or offer to help other students find the solution. Also for this reason, gifted children may become bored with schoolwork and find it too easy for their advanced mind. It is important to identify gifted children early on to ensure they are stimulated and challenged with tasks suitable for their intelligence and skill level. Advanced language skills are another key trait that gifted children often display. In addition to forming words at an earlier than normal age, they may also read and understand them. Gifted children often have large vocabularies for their age and can form complex sentences with proper grammar. Additionally, they can often understand abstract concepts and figures of speech like similes and metaphors. Language may fascinate them to the point of using word play, puns, and humor in their everyday speech as well. They may converse easily with adults and show an intense curiosity with the world around them, asking many questions and pondering the answers. Emotional sensitivity and intelligence is also often a sign of a gifted child. They may be able to relate to older children and adults better because of their advanced development. They are also able to feel empathy for others and use their intuition to assess a situation. Gifted children also have high expectations for themselves and others, often becoming frustrated when people fail to meet those expectations. They are emotionally sensitive, especially when it comes to failure and are often perfectionists in their work. Because of this, they may need more emotional support to prevent behavioral problems that may arise from the frustration they feel when things or people don’t live up to their standards. They also often develop a set of core ideals early on and are keenly aware of and sensitive to the injustices of the world. A love of learning is also a common trait of gifted children, but it is a unique type of learning. It is true that they may love learning about a number of different topics and display a wide array of interests. However, gifted children may also specialize in one area where they display an incredible amount of skill and knowledge beyond their years. They may be able to retain a massive amount of information and recite things they learned once from memory. For some, this interest may eventually develop into a career and so it should be nurtured and encouraged. Math and science are typical specializations of interest to gifted children, but many also excel in the arts, especially music. An intense focus on one subject or area of interest may cause neglect in other areas of academic achievement, so it is imperative your child is taught to balance tasks, at least while they are still in primary school. If you suspect your child may be gifted, the first step is to get them tested. Most schools have some sort of testing available, whether as part of a gifted program, or by an outside source. In addition to testing the IQ of your child, there may also be an achievement test to measure their abilities in different subjects. Testing may start as early as 1st grade and will often be at the suggestion of a teacher or others involved in your child’s daily life at school. If your child tests as gifted, it’s important to talk to them about what that means and the options available to them. Some children may not want to be placed in a gifted program because it further separates them from other children, making them feel different or alienated. Many gifted programs pull the students out of their normal class a few times a week for group sessions where they participate in accelerated curriculums. However, continuous praise, encouragement, and motivation are paramount to helping your child excel and become a gifted adult. Whatever you choose to do, involve your child in the conversation and ensure they are emotionally and intellectually supported.